Science existed in the middle ages. Even though possibly well-meaning but definitely misguided early modern (and modern) scholars (and particularly wikipedia et al.) may assert otherwise, it was not, in fact, the invention of printing that produced the human fascination with thinking about the world and attempting to explain it. Nor did printing somehow mean that illustration and diagram could become a feature of these explanations. People had been representing their ideas about the cosmos and the natural world in diagrammatic form for centuries, even if not all of these resemble ways that would be considered scientific drawing now. Bodleian MS Fairfax 27, f. 38v. Diagram (c. early 14th century) showing phases of the moon in relation to the position of earth and sun. Photo: K. Neal, 2013. Also, ‘science’, this sense of world-knowledge, is not inherently secular. It is associated with secularism in the Western world now, but there are historical reasons for that which are separate from the essence of scientific thought. To observe the phases of the moon, for example, was not an anti-religious act in itself, although some interpretations of those observations may have been seen as heretical by the (especially Catholic) church at certain times. There are also historical reasons for that. ‘Great scientists’ such as Galileo and those medieval thinkers who preceded him did not set out to ‘disprove religion’. (Yes, there were ‘great thinkers’ before Galileo. He was not the first person to think about the heavens, or any other field of knowledge.) They were often motivated by strong religious conviction to observe and examine God’s creation. The dissonance between the explanations at which they arrived and the existing church dogma was a source of uncertainty and consternation for them. They might sometimes have developed a distrust of the church and a fear of its retribution through observing the sanctions that began to be applied to those who published ‘heretical’ ideas, but it is not probable that they set out with a mission of destroying Christian faith so that the ‘Renaissance man’ could be enlightened in the ways of reason. ‘The Church’ did not inherently and inevitably oppose ‘science’. In the first place, there is no such thing as ‘The Church’, which is merely a linguistic short hand for discussing the sum outcome of the efforts, ideas and actions of thousands of (mostly) men who were part of the institutional structures of (in this case) Roman Catholic faith, or particular subgroups or individuals within it. In the second place, the ideas, actions and efforts of men within the church varied between individuals, times, and places. In other words they were subject to history, just like any other factor of human life. Some of them were suspicious of most new ideas; some were critical of particular new ideas, for example, because they contradicted their own proposals; some were critical of accepting too quickly new ideas that were not adequately proven on scientific grounds. If you read the literature on Galileo, for example, you will find that some of his ideas were criticised not for being ‘against the church’, but because he was asserting as fact ideas that were still merely theoretical (some of which were later disproven). Reason existed in the middle ages. It probably comes as a surprise to know that reason is not inherently secular, and once again, there are historical reasons why we may think so. It pays us to be aware of this. A long time ago, I began a project on women’s letters in the collection formerly known as Ancient Correspondence (Kew, The National Archives, SC 1). In the course of events, this project took a number of turns, catapulted around the dark side of the moon, and eventually became a project on letters that didn’t discuss women’s letters at all, except in passing. Now I’m back. I’m revisiting the data I collected about female representation in the correspondence of Edward I. For a thirteenth-century archive, there are lots! At the moment I’m considering the connections among the women represented in the collection, and between them and the (largely) men they corresponded with. It’s part prosopography, and part epistolary-cultural history. I want to know what conditions enabled women to send these letters, and I suspect that this was partly to do with who they were in combination with who they knew. What I really want is some whiz bang software that can help me visualize this network while also encoding relationships between them – like the interface they’ve got at the Six Degrees of Francis Bacon project which I often drool over. In the absence of said amazing software, I’ve begun to plot this out on my amazing personal double whiteboard (see previous posts! ), and I have to say, the results surprise even me. Boxes represent generations of the FitzAlan family and their marital relations. Boxes include spousal details of the primary FitzAlan relation where relevant. Wavy red box outlines indicate women with letters preserved in SC1. Colour coding indicates the primary patronymic under which individuals in a given generation are known. 1. Although, let’s be honest, I don’t actually think software that cool comes for free, and I am just a lowly level A academic, not a well-funded, multi-investigator research project… Yet, I can dream! 2. Two letters from Alice survive: Kew, TNA, SC 1/16/63, and SC 1/24/201. The former (to Edward I) is printed in Recueil De Lettres Anglo-Françaises, ed. by F. J. Tanquerey (Paris, 1916), no. 61; and translated in Letters of the Queens of England 1100–1547, ed. by Anne Crawford (Thrupp: Alan Sutton, 1994), pp. 246–47. The latter (to Robert Burnell) has not been printed. 3. There are 440 letters from women that can be dated to the reigns of Henry III and Edward I in this collection, 92% of which (406) date from Edward’s reign. For some more cool stats about this corpus, see my ‘From Letters to Loyalty: Aline la Despenser and the Meaning(s) of a Noblewoman’s Correspondence in Thirteenth-Century England’, in Authority, Gender and Emotion in Late Medieval and Early Modern England, ed. by Susan Broomhall (Basingstoke: Palgrave MacMillan, 2015), pp. 18–33. Umberto Eco has passed away, and with him we’ve lost one of our great thinkers about the meaning and implications of language. Like many people, I first encountered Eco as a fiction author. 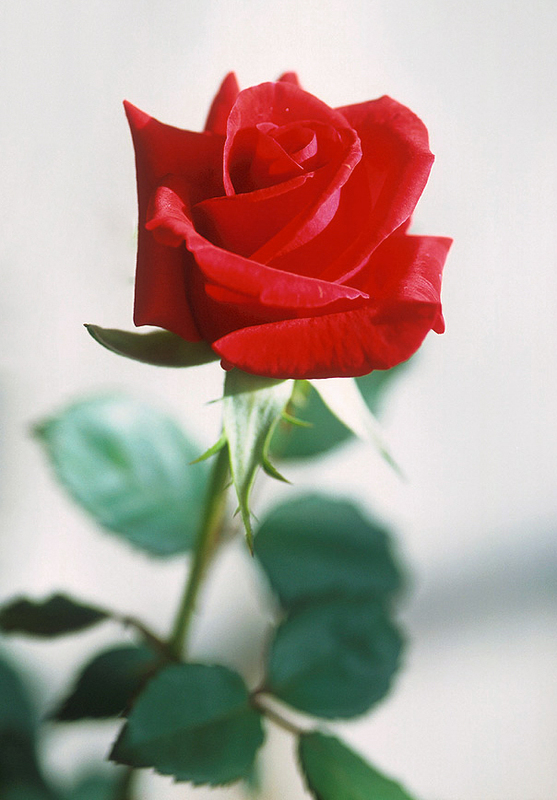 I remember seeing and loving The Name of the Rose as a high school student, going on to read the book, and being inspired to to make my way doggedly through Foucault’s Pendulum. Pendulum, like much of Eco’s work in fiction, depended on such deep cultural knowledge I’m sure I only understood a fraction of the references, but I remember the kudos I earned from my English teacher for knowing the book at all. Even in fictional work, Eco was dense and difficult, and rewarded slow absorption and reflection. It was many years before I encountered Eco the Scholar. I was a postgraduate student in Oxford when he came to give the Weindenfeld lectures. He was gently disheveled, politely confused by the requirement of wearing an academic gown to lecture, by turns quiet and contemplative, and excitable and insistent. I was absorbed again and attended every one. His topic was translation. Not the technicalities of moving between Italian and English, for example, but the meanings, problems, losses and gains of doing so. He talked extensively about the experience of having Foucault’s Pendulum translated into English. The central figure of Casaubon is a sort of cipher for Eco himself; the ultimate intertextual person; a person constituted, motivated and to be understood almost completely by his literary and scholarly reminiscences and allusions. Eco talked about the thorny question of how to render classics of medieval Italian literature with which his initial readers would have been familiar into an English version, for instance. Transforming the words of Dante, or Boccaccio into English would not convey the same play of intertextual light and shade to an Anglophone mind. Simply replacing these references with contemporary English literature wouldn’t serve: the average Anglophone reader is less acquainted with and able to understand snippets of Chaucer than an Italian counterpart their Dante. In the end, some references had to be replaced with more modern English quotes, while others were transformed directly from Italian but couched to point towards their relevance and erudition. What happened to Pendulum in the process? Was it the same book? Fundamentally, yes. Like Abelard, Eco concluded that in translation it is intention that matters more than fidelity to the rules. The reader must understand what something really means, more than they must grasp the particular words. In fact, those lectures, effectively the draft jottings of what would become his Mouse or Rat? Eco went on to demonstrate that all ‘rules’ for moving directly languages are fallacies, because language is fundamentally a cultural phenomenon. Human experience has many common features across cultures, and languages therefore also share many common features. We all have words, for example, for mother, baby, walk, and talk. But it isn’t merely a cliche to say that the Inuit have many words for types of snow that an English speaker isn’t capable of distinguishing. In the same way, Eco discussed, the native peoples of The Philippines have words for myriad shades of red that we would have to describe as colour codes, lacking the linguistic richness to discuss the differences between them. These distinctions of language are distinctions of culture. They reflect what matters to people in particular contexts; and the full meaning of the words is only properly conveyed by reference to that system of values and assumptions. Looking back on his work, I can see how these topics to which he turned in the early 2000s were in long continuum with his interest in semiotics, the science (or art?) of meaning, since the 1960s. For my own work, one of Eco’s most influential books was The Limits of Interpretation. Here he reflected on the problematic anarchy of postmodernism’s attempts to kill the author. The death of the author, Eco observed, opened up the meaning of texts to any and all interpretations. But this isn’t representative of how texts work. In fact, they have limited possible interpretations. Admittedly, not all of them will be the intended meaning of an author/writer/producer of the text, but authors know this. As a result, the art of textual production, Eco argued, rests on anticipation of the reader and their assumptions, reference to likely shared patterns of structure and understanding, and the construction of a text which limits, for a given probable reader, the possible readings as closely as possible to the intended one, without simply reproducing a template. This insight was fundamental to me in understanding the relationship between medieval artes dictaminis, letter formularies, and the individual letter. It stimulated in me the idea that every medieval letter (and every modern one, perhaps) was a negotiation between reference to a notional ‘Ideal’ letter (the artes), common patterns of letter writing and meaning (formularies), and unique epistolary responses to the imperatives of context and correspondents. Like Foucault’s Pendulum, Eco’s academic work is layered, dense and difficult. I don’t doubt it will continue to repay slow reflection and rumination for many years. Which is lucky, because there will be no more fresh thoughts from that wonderful, wide-ranging, provocative and stimulating mind. The world is a little dimmer. This is one reason why I love my office. There are many wonderful things about having an academic office, but the thing that I love the most about my digs is the enormous double whiteboard along one wall. This was an indispensable tool in completing my doctoral thesis: it allowed me to plot the over-arching arguments and structures ‘to scale’, and in a medium which was both fixed enough to stay on the wall for the last few weeks as a visible prompt whenever the minutiae of individual pieces of analysis threatened to spin off in their own directions or subsume the larger trajectory of the material, and flexible enough to accommodate constant reconfiguring or tweaking by the judicious application of an eraser and some different colour pens. The various chapters in the image above were re-numbered and shuffled at least three times in the course of final write-up, as I debated the proper order of materials and the connections between them. It’s almost a shame one can’t submit a time lapse video of a whiteboard as a thesis! It would be a much truer reflection of thoughts and arguments than the necessarily linear verbal presentation of thoughts that must, by its essence, be partial and in some ways impoverished. Time to wipe it all off and prepare for the next project… Now that really is the beauty of whiteboards. I’m so excited by the historiographical developments that underpin this recent US conference (report by Lois Huneycutt, rebloged below). It’s been my conviction for some time that we need to take the discussion of powerful women and women in power ‘beyond exceptionalism’; and here are a bunch of my (s)heroes making that happen. I eagerly await the proceedings! Lois Huneycutt send a conference report on “Beyond Exceptionalism” at Ohio State University, Mansfield from 18-19 September 2015. Let us know if you’ve also been to some interesting Royal Studies conferences, write a few lines and send some pictures! We’re happy to post them here. The rose may smell as sweet regardless, but names still matter. Image from wikimedia commons. Some weeks ago, not for the first time, I received a compliment from a student that both gave me a little glow inside and flabbergasted me at the same time. There are clearly some things I regard as a baseline effort in the classroom that other people just don’t. Naturally, it’s gratifying when students recognize their tutor’s hard work. It’s also extremely lovely when they are appreciative enough to let one know. As I replied, it can be unexpectedly difficult to tell from the front of the classroom how things are being received by students. (Are they quiet because they’re listening and thinking hard? Or are they all secretly stifling yawns?!) Letting tutors know when they do something right is important because it helps them – at least in theory – to refine their practice. On this occasion the student remarked that my commitment to teaching was evident in the fact that I could remember my students’ names. Names? The fact that this should be something worth complimenting a tutor on is, quite frankly, horrifying. The traditional approach is to trace the background of dissidents, assuming that the formative experience takes place before the individual enters a heretical cell and that his sense of solidarity is based upon a previously developed, commonly held need. However, membership in any group proceeds in stages. The familial, institutional, intellectual, or “class” bonds of the individual before joining are only the point of departure. In many cases the process of socialization continues within the group and arises, as suggested, from patterns of interaction with the other members. This period of education helps determine later behaviour (and may, as well, influence the reinterpretation of earlier events). … Group interaction also determines doctrinal dissemination. Only rarely is an idea utilized by a small voluntary association simply because it has deep historical roots. It must also respond to a problem in the here and now: in that sense, all dissident movements, whether heretical or reformist, are contemporaneous phenomena, no matter how they historicize their origins. (pp.100-101). Reflecting on this anniversary myself, I realise that, like most of the histories of the past, and with few exceptions, commentators (and I’m talking popular media here) have been approaching Magna Carta mainly as a document of royal and systemic (if not necessarily systematic) significance. In other words, they read it in direct terms as being a verdict on John, and in wider terms as being about rights granted and to be maintained, and about systems thenceforth put in place to do so (themselves also in need of maintenance). All of those things have their place and their interest. But while the barons (and church, Welsh, Scots, Londoners, etc., etc.) are implicitly recognised as part of the narrative of producing Magna Carta, most modern commentaries seem to overlook the essential role of ‘the people’, broadly interpreted, in the charter’s origins, development, granting, and subsequent maintenance. If you’d been in the corridors around my office a few weeks back, you would have come across me and several of my wonderful tutors and colleagues bedecked in thirteenth century(ish) garb. This was not a closet cosplay club. This was serious pedagogy folks. In the closing week of semester, we held a ‘Medieval Expo’ of student posters, videos and podcasts aimed at educating a general audience about the middle ages, and turned it into a festival with staff and students in costume and prizes for the ‘People’s Choice’ displays. To my mind, historical education is a serious business, but that’s no reason not to have fun as well. After all, I love what I do, so why can’t students be encouraged to have a blast while also acquiring historical knowledge and transferable skills? Apparently not quite everyone agreed, although the students raved about it and all the teaching staff involved were excited by this innovative addition to the assessment program. The odd dissenting voice of critique seemed to suggest that in dressing up we had undermined our own and our discipline’s credibility. This not a unique view: ‘real’ historians often deride ‘amateur’ re-enactment troupes and the SCA set. This was the prevailing attitude I encountered as an undergraduate student myself. Now, I find I beg to differ. Let me tell you why.